Many exciting surprises await on Sunday at the 22nd annual Wine Soirée and Benefit Auctions in the Diamond Bar Center at 1600 Grand Ave. New addition to the Soirée this year will be Martell Cognac so you can enjoy a delicious taste of this outstanding cognac along with the many other tastings of delicious foods, premium wine and other beverages. 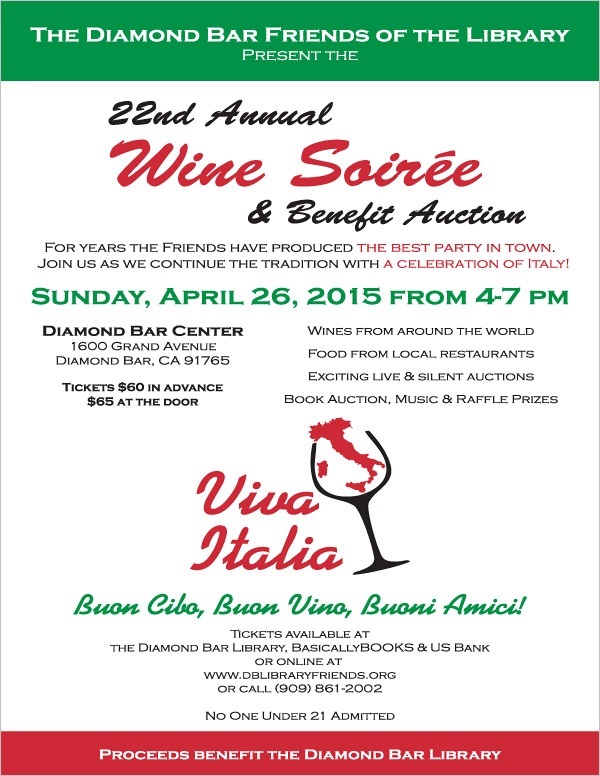 By participating in the 22nd annual Wine Soirée, you will have a great afternoon with friends and know that all of the proceeds go directly to your local Diamond Bar Library and literacy in our community. Tickets are $60 in advance, $65 at the door or until sold-out. A unique souvenir wine glass and Soiree program and included with you admission. Chairs Nancy Lyons, Rick Rogers and Tony Torng promise a festive and exciting afternoon with delicious food from local restaurants, great wine, music, raffles and exciting book, silent and live auctions. Come and bring you friends and family to sample the great restaurant food hosts this year including Albertson’s Market, Aljibani Halal Market, Buca di Beppo, Chili’s Grill and Bar, Claro’s Italian Restaurant, Coco’s Bakery, Diamond Bar Golf Course, Diamond Palace, Got Taco Party?, Graber Olive House, It’s A Grind, Jinza Teriyaki, Julie’s Café, Mandarin Taste Restaurant, NiNi Bakery, and The Whole Enchilada, Yojie Japanese Fondue. With your help the Friends have given over $40,000 in 2014 for much-needed materials, programs, books, magazines, etc. that would not have been possible without the Wine Soirée and our non-profit bookstore, Basically BOOKS. The Friends also sponsored Read Together Diamond Bar 2014 that brought Librarian of Congress David S. Mao to Diamond Bar last October. Four local girls have been chosen by the Diamond Bar/Walnut AAUW to receive Tech Trek scholarships. They are Yen-nhi Nguyen, 7th grader from South Pointe Middle School; and Kari Huang, Kelly Jensen and Nicole Chiang, all 7th graders from Suzanne Middle School. TechTrek is an annual science/math camp for seventh grade girls held at selected college campuses, and sponsored by AAUW, the American Association of University Women. These four will go to UC Irvine for a week and live and learn on and off campus in innovative ways. Phyllis Soto and Marian Welch are Co-Chairs of this event. 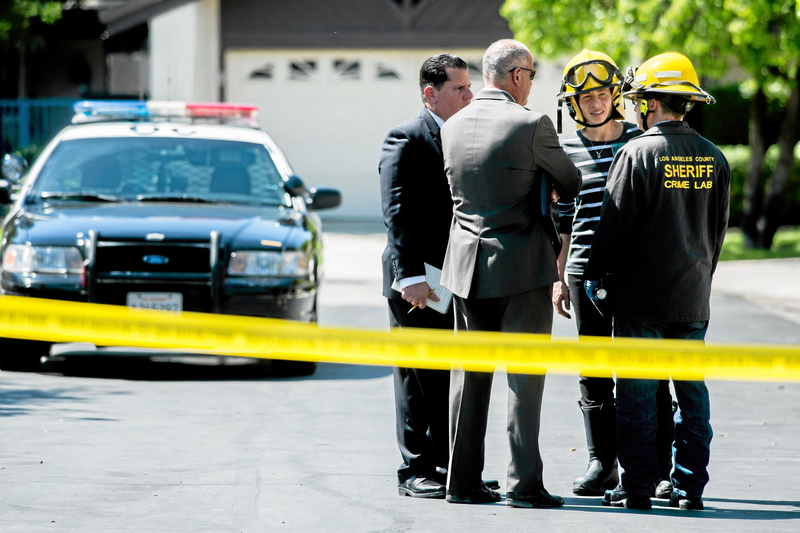 A 77-year-old woman is presumed dead following an early-morning fire Wednesday at her Diamond Bar home, and her daughter-in-law was being questioned as a “person of interest” after she was found driving a car in Tustin believed to contain the woman’s remains, homicide detectives said. Though investigators had yet to confirm whether the elderly woman’s body was inside the SUV, they were treating the case as a homicide. The names of the suspected victim and her daughter-in-law were not released. Neighbors and officials said they believed the victim lived alone, though her daughter-in-law may have previously stayed with her. Neighbor Yolanda Delgado, who was at home during the fire, said she was awakened by firefighters working to extinguish the blaze. But she said she heard no signs of a struggle beforehand and nothing else unusual. “It’s very sad,” said Delgado, 66. She and her husband have lived in the area for about a year and didn’t know the woman very well, but described her as a quiet neighbor who kept to herself. Firefighters responded just after 1 a.m. to a report of a fire at a house in the 1200 block of North Diamond Bar Boulevard, according to Deputy Juanita Navarro-Suarez of the Los Angeles County Sheriff’s Station. Firefighters extinguished the blaze about 1:45 a.m. and found no one inside the home during their initial searches, Los Angeles County Fire Department Inspector Rick Flores said. Shortly after the fire, Tustin police received an alarming tip, Lt. Eddie Hernandez of the Sheriff’s Homicide Bureau said. Tustin police found the SUV just after 6 a.m., parked on the street at Tustin Ranch Road and Greenway Drive in Tustin, investigators said. The elderly woman’s daughter-in-law was inside. “She was cooperative,” Hernandez said of the detained woman. Adanna Duru has a bad cold, making it that much harder for the young Diamond Bar singer to compete on “American Idol.” But the 18-year-old isn’t giving up, making it to the Top 10 last week. The Walnut High School graduate was more than fine in last Thursday’s show. In fact, she was the first to perform. 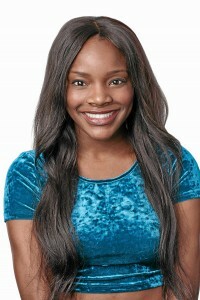 Her performance drew some encouraging comments from the ‘Idol’ judges. “You sound great,” said Keith Urban. “That was a really good song choice.” Harry Connick Jr. agreed, telling Duru she looked like a real star on the stage, while Jennifer Lopez chided the Diamond Bar woman for not connecting with the emotion in the song. The 2014 Walnut High grad promised to take her performance up a notch this week, though she couldn’t divulge the song she’ll sing. Read more in Rich Irwin’s story DURU. Parents will do anything for their children. But sometimes, they face staggering odds when a child becomes sick with cancer or another disease. 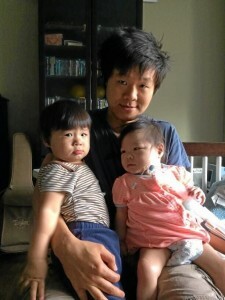 Galya, right, with her twin brother Ezra and father Brian Chan in their Diamond Bar Home. Caris and Brian Chan of Diamond Bar tried to have children for 10 years. Finally, they got the wonderful news that they were expecting after a successful in vitro fertilization. Finally, the twins were born premature, a boy, Ezra, weighing 3 pounds while his sister, Galya, weighed only 2 pounds. Ezra grew hale and hearty, while Galya began ill with a unknown illness. Thus began a medical mystery that took months of intensive care. Galya was taken to the UCLA Medical Center, where doctors performed a liver biopsy and began genetic testing. “I remember riding with her in three ambulances over one 24-hour period,” Chan said. Then, the 2-year-old was admitted to Children’s Hospital of Orange County. Genetic tests revealed a devastating rare condition called Niemann Pick C. The couple also learned there was no treatment for the disease. 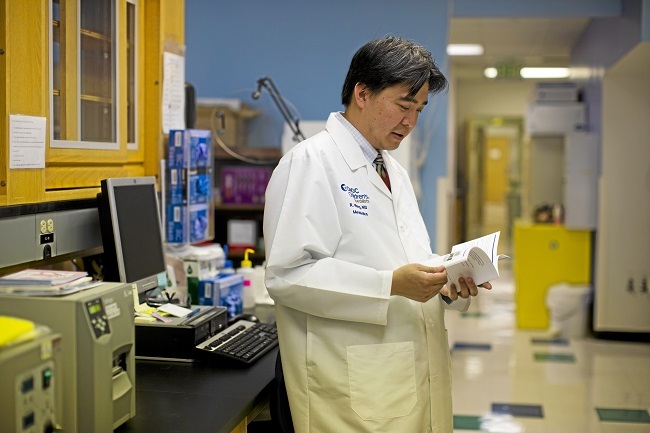 “The diagnosis is horrible, but it’s better to know than to not know,” Chan said. An armed man robbed a gas station and got away with an undisclosed amount early Thursday morning. The robber struck at the Shell station at 3241 S. Brea Canyon Road at 4:14 a.m.
Lt. John Saleeby of the sheriff’s Walnut/Diamond Bar station said the suspect demanded money from the clerk who handed over the cash. The robber was last seen running northbound. He didn’t know what weapon the robber used. The suspect was described as a Latino, 20 to 25, 5 foot 8 inches tall and weighing between 150 to 180 pounds. He wore a black hat, black pants and a black-and-gray jacket. A Pomona Superior Court judge sentenced a Compton man to seven years in prison Friday for drunken driving which seriously injured a Diamond Bar man in a crash last year in the city. Authorities said 18-year-old Steven Kim suffered internal injuries, broken bones, injuries to his spinal cord and brain. He is in a long-term care facility, according to Deputy District Attorney Lauren Guber. Pierr Gonzalez-Garcia,22, didn’t make a plea deal with the prosecution. Instead he threw himself on the mercy of the court and pleaded no contest Feb. 20 to a felony count of driving with a .08 percent blood alcohol level causing injury. Sarah Ardalani, a spokeswoman with the District Attorney’s Office, said Gonzalez-Garcia also admitted to the allegations that he personally inflicted great bodily injury causing the victim to become comatose, that he was speeding and that the concentration of his blood alcohol was 0.15 percent by weight and more. The court ordered him to pay restitution. The amount hasn’t been determined. “We don’t have a number yet. The treatment is still ongoing,” Guber said. Gonzalez-Garcia’s attorney, couldn’t be reached for comment on Friday afternoon. The case stems from a collision on Pathfinder Road in Rowland Heights on Aug. 1, 2014. Guber said Gonzalez-Garcia had a blood alcohol level that night of 0.21 percent and was driving his mother’s Nissan Pathfinder. He allegedly told the California Highway Patrol he bought marijuana from someone at a corner, purchased vodka and a Monster energy drink at a liquor store in Long Beach and was on his way to a club in Hollywood, according to the prosecution. He was drinking the vodka and the energy drink, Guber said. Kim left a church that night in a Toyota Scion. Guber said from Alexdale Lane, Kim made a left turn to Pathfinder Road. The Scion had almost completed the turn when the speeding Nissan crashed into it. Gonzalez-Garcia suffered a broken clavicle in the collision, Guber said. The two injured men were taken to a hospital. The California Highway Patrol investigated the crash. Southland residents can breathe a sigh of relief as record high temperatures plummet nearly 20 degrees by Wednesday. A cold front will roll through the Los Angeles basin, bringing cloudy skies and patchy fog overnight. Weather stations in Santa Fe Springs and La Puente reported a high of 94 on Sunday and temperatures dipped only a couple degrees on Monday before dropping another 10 degrees today, with an expected high of 80. By Wednesday afternoon, SoCal should register a very comfortable 73 degrees. 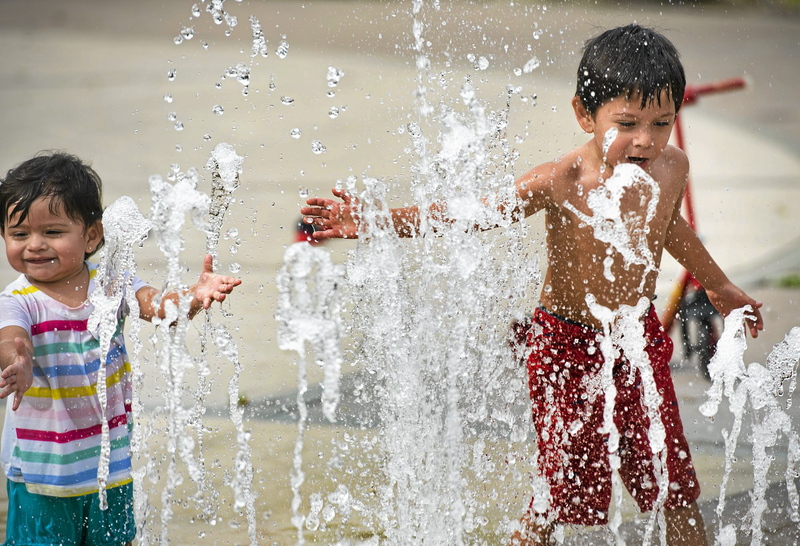 A similar trend will sooth Pasadena residents, who experienced a high of 90 Monday. That will be followed by 80 today and 73 on Wednesday. While no records were broken in the San Gabriel Valley/Whittier area over the weekend, Sunday saw a number of them fall throughout Southern California. The National Weather Service recorded a high of 92 in downtown Los Angeles, crushing the record of 85 set in 1978. “Burbank also set a record at Bob Hope Airport at 90 degrees, breaking the 86 mark set in 1994,” Hoxsie said. Los Angeles International Airport reported a new high of 88, breaking the 1959 record of 83. A record high of 89 degrees was set at UCLA Monday afternoon, according to the National Weather Service, surpassing the previous high of 87, set in 2010. The NWS forecast calls for a much more pleasant weekend ahead, with highs around 75 under mostly sunny skies. Overnight lows will hover near 57 under partly cloudy skies. Hoxsie said the marine layer should return, cooling coastal areas that have baked in the record heat. It was 92 at Long Beach Airport on Sunday, breaking the record of 86 from 1978. Highs in Long Beach will drop from 82 on Monday to 66 on Wednesday. 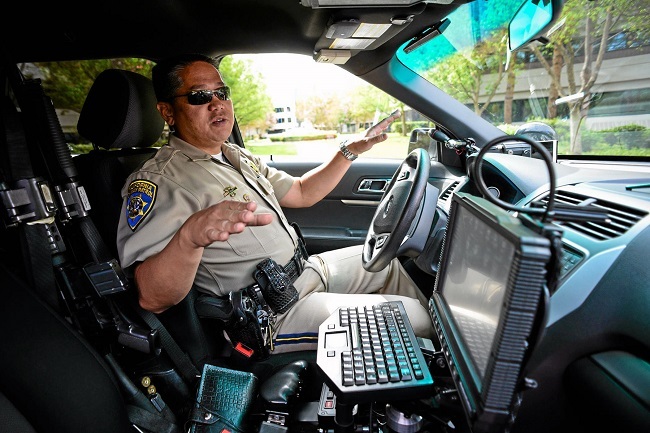 CHP officer Leland Tang shows how the CHP uses heads up technology to help officers keep their eyes on the road at all times. In an effort to reduce distracted driving, Los Angeles County sheriff’s officials have implemented a new policy that significantly curbs the use of in-car computers, authorities said. The policy, which was formalized late last month, contains the department’s first explicit restrictions on such devices and comes a little more than a year after sheriff’s Deputy Andrew Wood fatally struck cyclist Milton Olin Jr. on Mulholland Highway in Calabasas while typing on his in-car computer. While stopping short of banning all in-car computer use, the new policy of the country’s largest sheriff’s agency requires that radios be used as “the primary tool of communication” while vehicles are moving and eliminates the use of in-car computers for administrative tasks. “The significance is to reduce the danger to the public, predominantly, and the danger to our own deputies that are posed by distracted driving and distracting devices,” said Sgt. Albert Schauberger, corrective actions sergeant at the department’s risk management bureau. Employees cannot use their computer while driving a county vehicle unless the communication is urgent or necessary for officer safety and radio traffic prevents its timely transmission or unless it’s to hit one button to send status updates such as “en-route” or “acknowledge,” according to the new policy. The in-car computer should be used as a last resort, such as when a deputy is facing an emergency and there’s another serious incident already being broadcast on the radio channel, and not out of convenience since it’s more distracting than a radio, Schauberger said. “If there’s no other means to communicate and in case of emergency, then (the in-car computer) should be used because it’s all you have left,” he said. In addition, personnel cannot use their mobile digital computers for administrative tasks, such as clearing calls, updating logs, typing, sending or reading administrative or nonurgent messages while driving, the policy states. However, a union leader argues that the new policy leaves deputies who are trying to carry out their duties unduly vulnerable to discipline. Read more in Brenda Gazzar’s story DISTRACTED.